Breckenridge Epic Discovery is taking a new approach to the theme park industry! Breckenridge Epic Discover is all about interactive outdoor learning! Mixed-in with alpine coasters, slides, ziplines, bungee trampolines and a mini golf course; you will find interactive outdoor stations featuring information about the mountain’s environment, wildlife and local history. The informational displays at Breckenridge Epic Discovery Alpine Camp are similar to what someone would expect to find at a major zoo. This zoo just happens to be 11,000+ feet above sea level and comes with many exciting activities (like ziplines) that most zoos don’t offer. It’s an entirely new way to engage people in the National Forest and public lands through play and recreation. 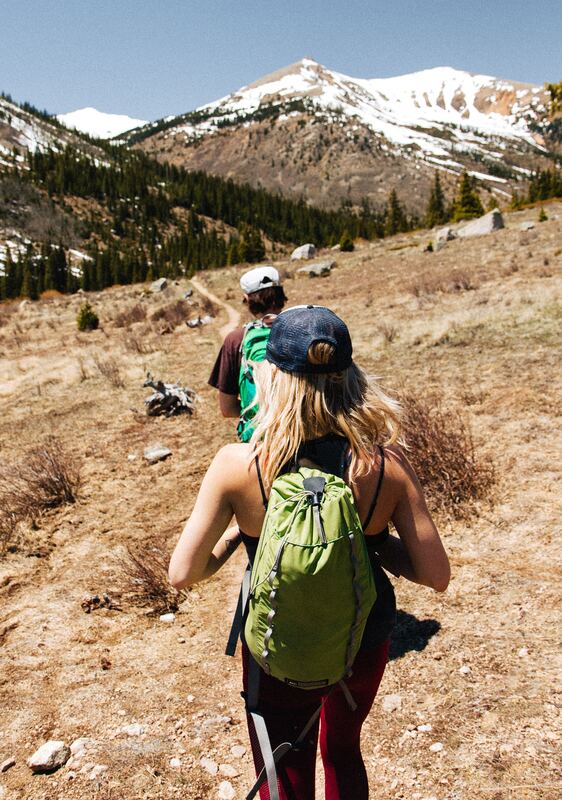 Breckenridge Epic Discovery can also see as a warm-up run for people who might want to get into hiking or biking in the mountains but don’t have much experience in the high-alpine environment. For most participants, a day at Breckenridge Epic Discovery begins with a scenic gondola ride from downtown Breckenridge to the base of Peak 8 which takes about 12-minutes. Once at the base, Breckenridge Epic Discovery takes on the feel of a small-scale amusement park. There is a kid-friendly zone, a meeting place for guided tours of the mountain and options for food and refreshments. From there, a quick ride up the super lift that seats up to six people carries patrons to the Alpine Camp. The camp sits 11,059 feet in elevation where visitors will find a handful of short hiking trails, a challenge course and a full 360-degree rock climbing wall with 16 routes and self-belaying ropes. Also at the camp is one trail loop with a massive assortment of scattered informational displays, some of which are purely informational while others come with hands-on activities. One of the stations is dedicated to foxes and another compares the bite of a beaver to one of a human. There’s also a new observation tower at the Alpine Camp – which sits no more than a couple hundred feet from the chair lift and features stairs wide enough for a wheelchair. This observation tower offers one of the most breath-taking views of Breckenridge, the Continental Divide and the greater Rocky Mountains that Summit County has to offer. In addition to teaching people more about the mountain environment and its inhabitants, Breckenridge Epic Discovery also stands as one of the resort’s biggest summertime draws. Breckenridge resort is also donating one percent of all its summer-activity revenue to The Nature Conservancy, a conservation group that promotes wilderness education and awareness.